The story of Nazi Germany has fascinated and appalled millions of people. The Nazis were a group of radical nationalists who formed their own political party in 1919. Led by Adolf Hitler, a former corporal who had served in World War I, the Nazi Party remained small and ineffectual for most of the 1920s. The onset of the Great Depression and its traumatic impact on Germany, however, saw Hitler and the Nazis attract popular support. The Nazis presented themselves as a new political option for the beleaguered and desperate German people. There was little new about Hitler and the Nazis, however. Most of their obsessions – state power, authoritarian rule, fanatical nationalism, social Darwinism, racial purity and military rearmament leading to war – were ideas of the past, not the future. By 1930 the Nazis had become the largest party in the German Reichstag (parliament). This support contributed to the appointment of Adolf Hitler as chancellor in January 1933. Hitler and his followers held power for barely a dozen years, however, their impact on Germany was profound. Within a couple of years, the Nazis had killed off the organs of democracy and created a one-party totalitarian state. The lives of millions of Germans were changed, some for the better, many for the worse. Women were ordered back into the home and excluded from politics and the workplace. 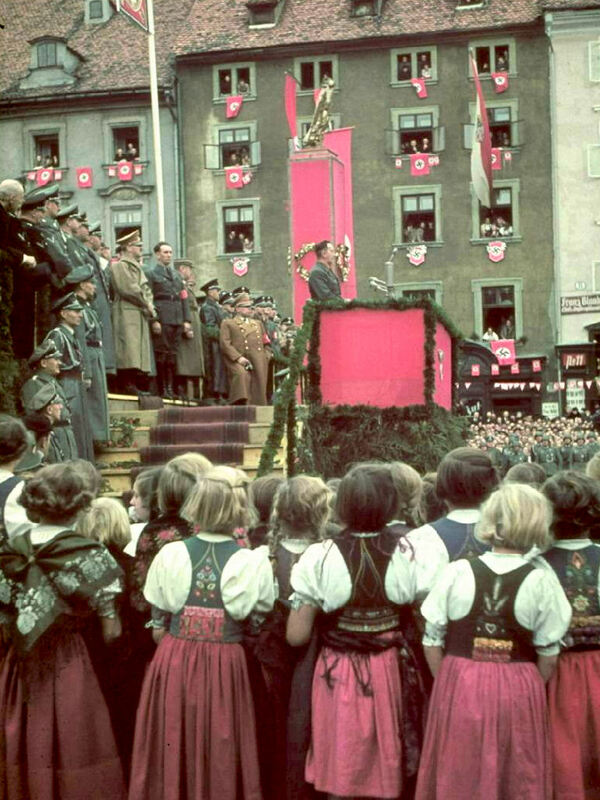 Children were indoctrinated with the ideas and values of Nazism. Schools and workplaces were transformed to fulfil Nazi objectives. Weak or disruptive social or racial groups – from Jews to the mentally ill – were excluded or eliminated. The Nazis revived the galloping militarism that steered Germany into World War I two decades earlier. Finally, in the late 1930s, Hitler set about expanding German territory, a policy that triggered the deadliest war in human history. Alpha History’s Nazi Germany website is a comprehensive textbook-quality resource for studying the rise of the Nazis and Germany between 1933 and 1939. It contains hundreds of different primary and secondary sources, including detailed topic summaries and documents. Our website also contains reference material such as timelines, glossaries, a ‘who’s who’ and information on historiography. Students can also test their knowledge and recall with a range of online activities, including quizzes, crosswords and wordsearches. Primary sources aside, all content at Alpha History is written by qualified and experienced teachers, authors and historians.